Go Edit is a note taker for blog authors who need to draft posts on the go that contains photographs in addition to texts. Import HTML or Markdown files from other applications or cloud storage providers. Sync notes through iCloud drive in an open file format. 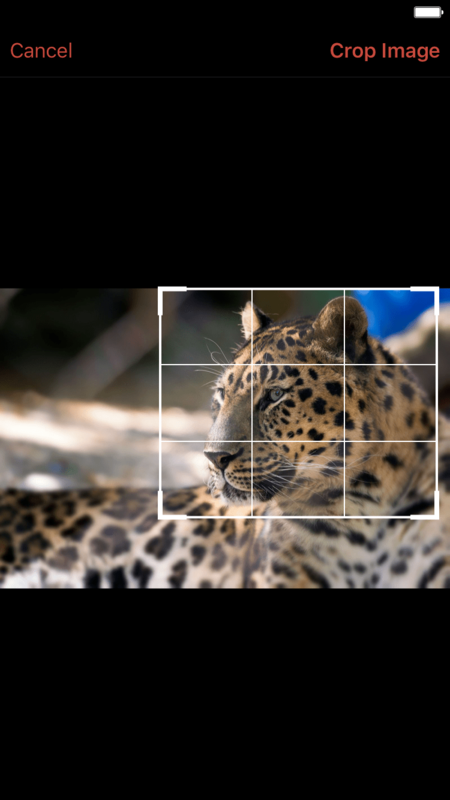 Export self-contained HTML with embedded images. Share with other applications supporting the Textbundle standard. 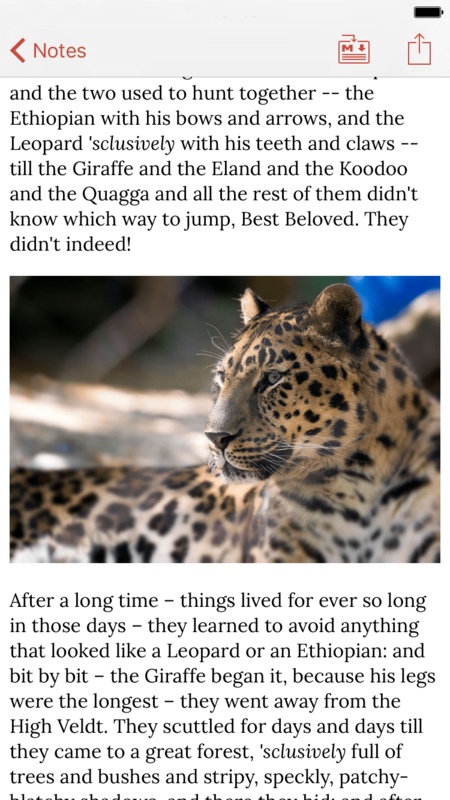 Embed images into your markdown documents without needing to upload them. Go Edit allows round-trip conversion between HTML and markdown documents with embedded images through the Textbundle format. 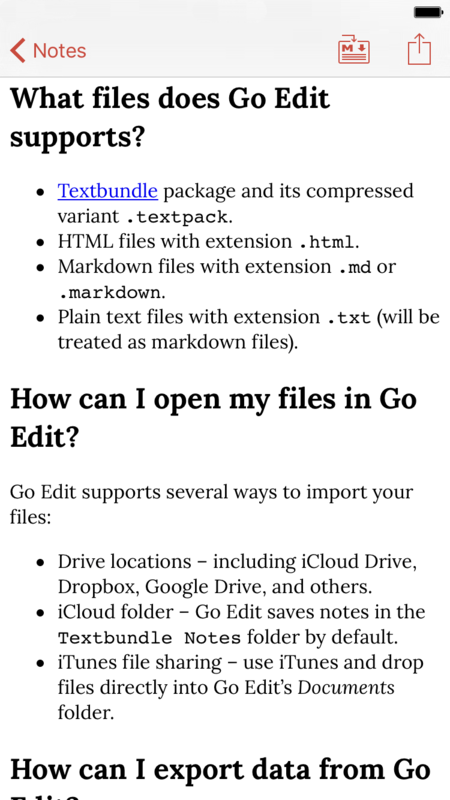 Go Edit is a note taking application for writing in markdown or HTML, allows round-trip conversion between the two, and embed images in markdown or HTML documents through the Textbundle format. 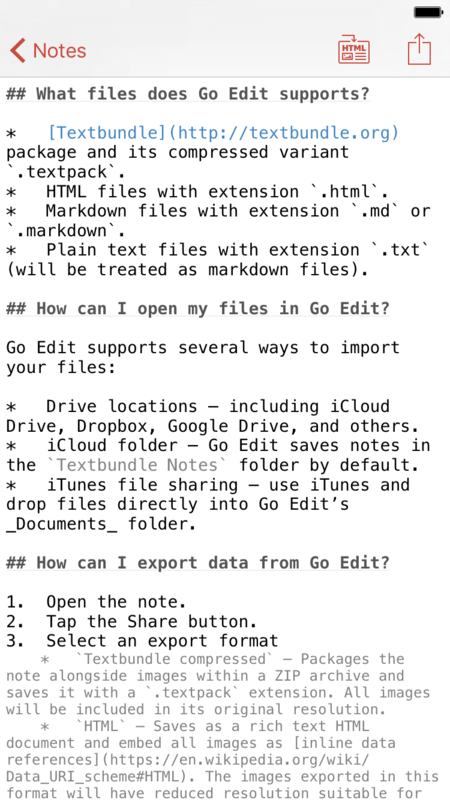 Go Edit is a note taking application for writing in markdown or rich text HTML. Unlike many other markdown takers, Go Edit supports embedding photos in documents as well as round-trip conversion between HTML and markdown. Go Edit stores documents in the open Textbundle format which can be opened with any other editors supporting markdown or HTML files.